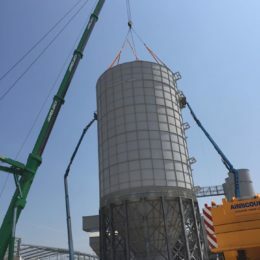 Cement Silo for Nuclear Plant – Poggi S.p.a. 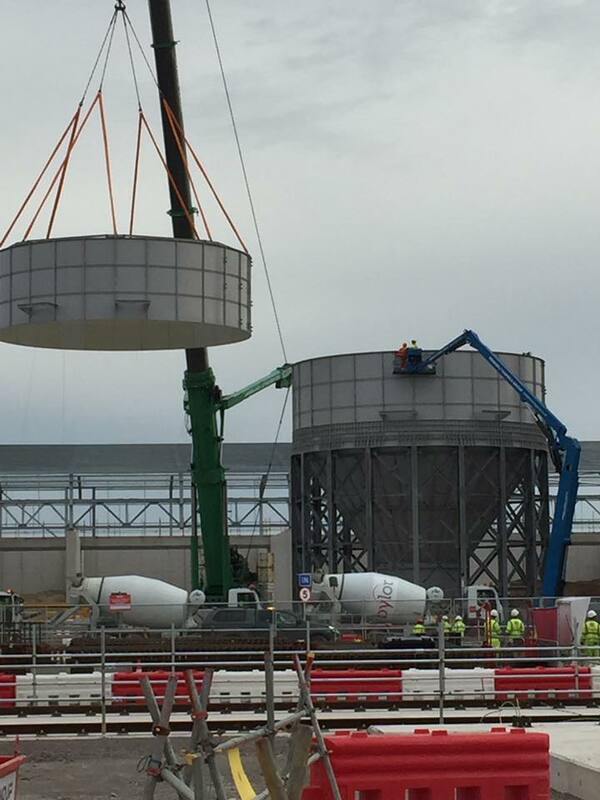 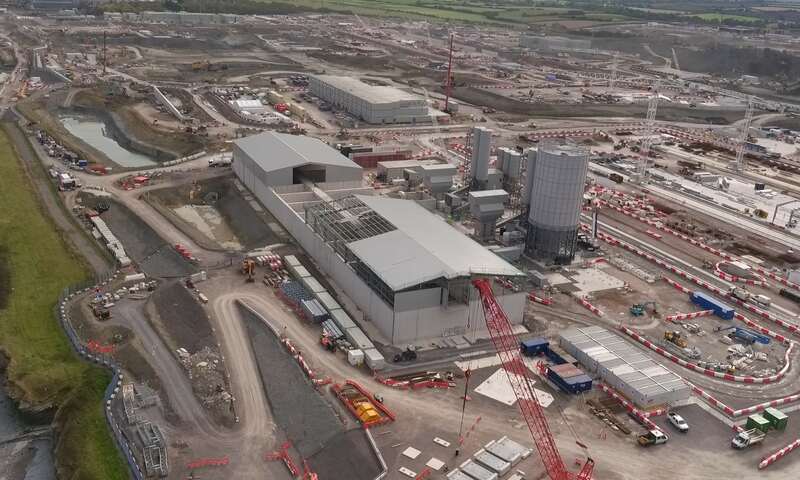 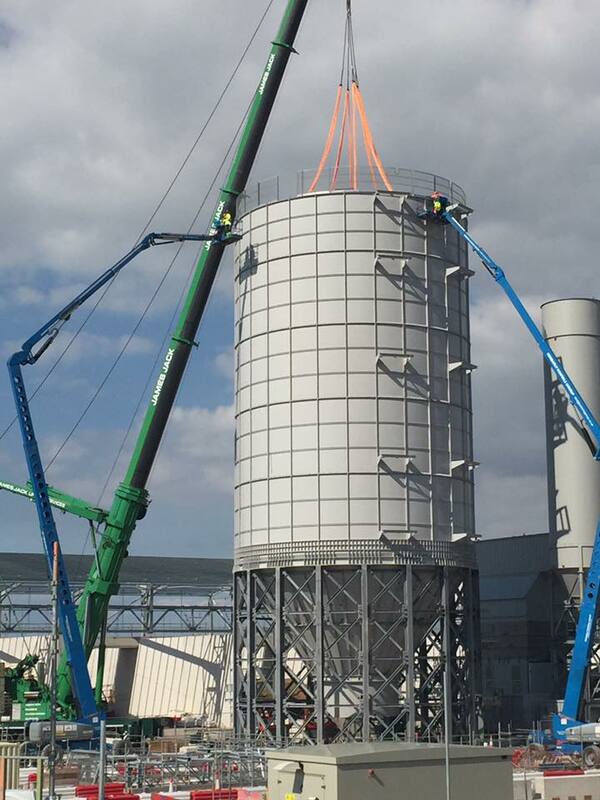 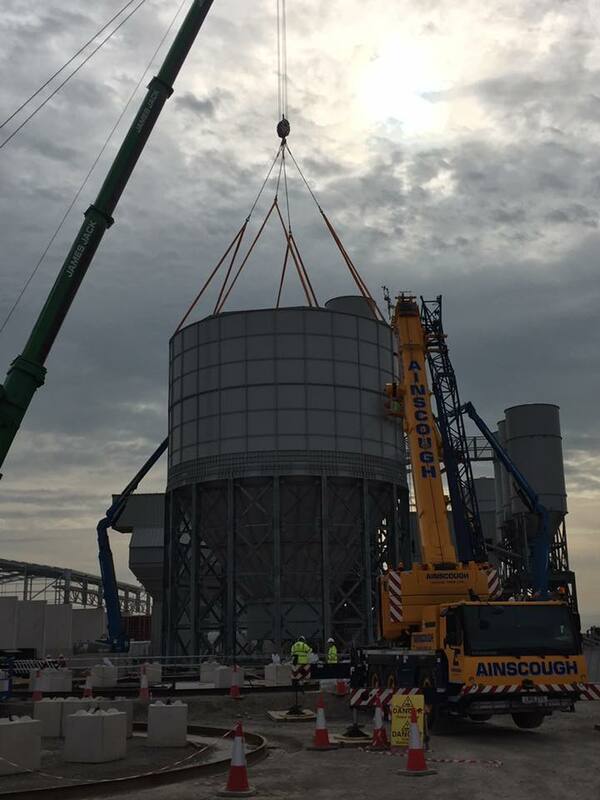 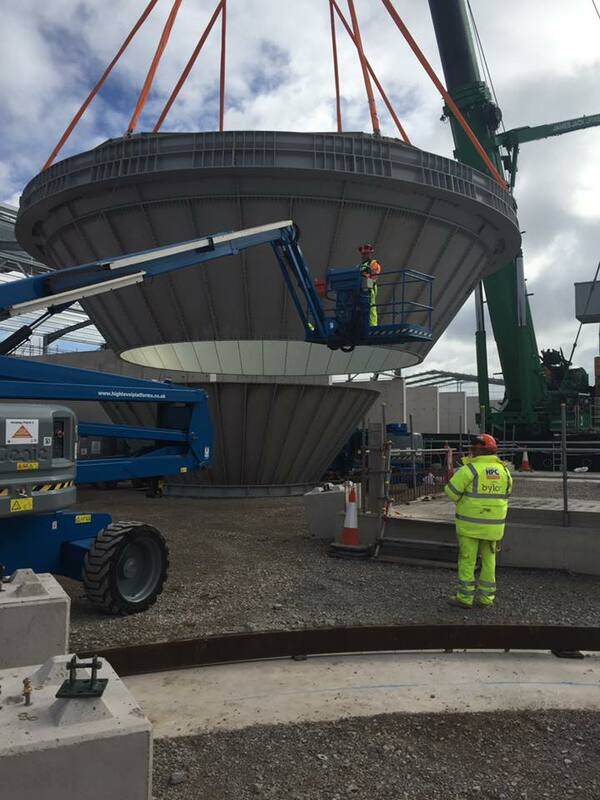 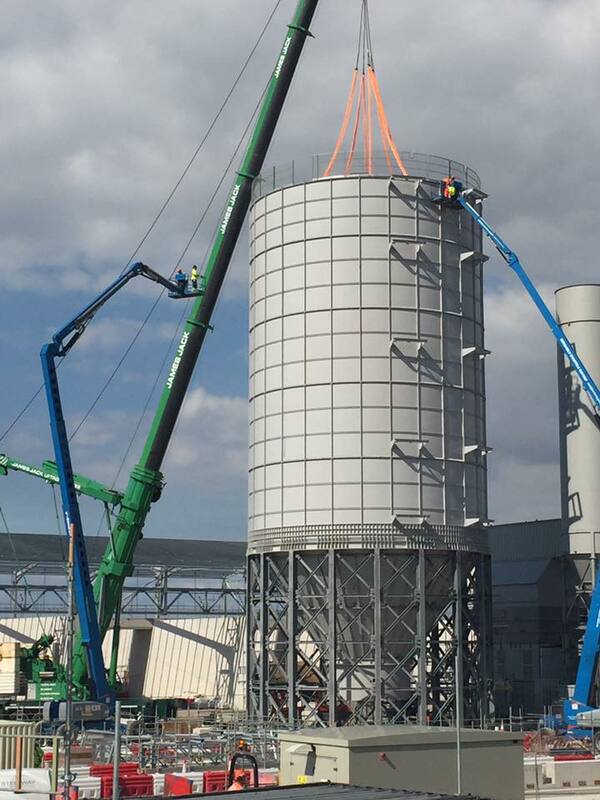 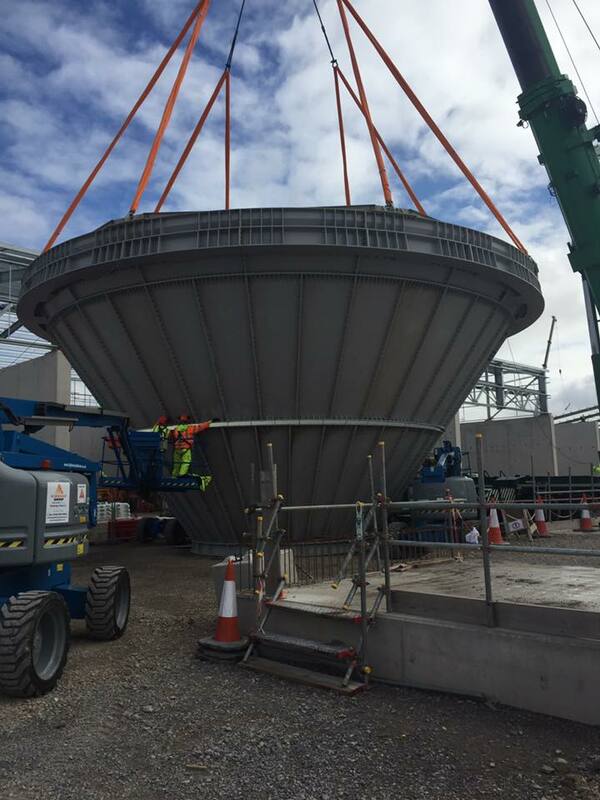 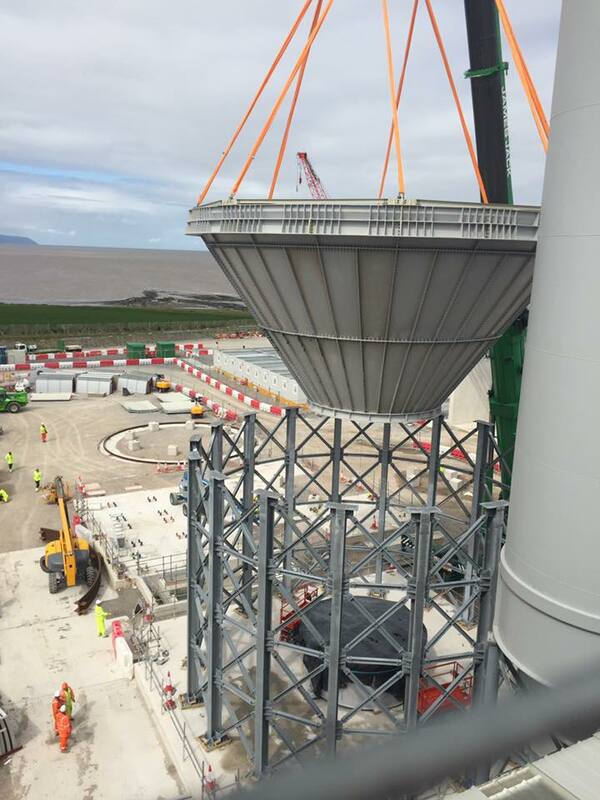 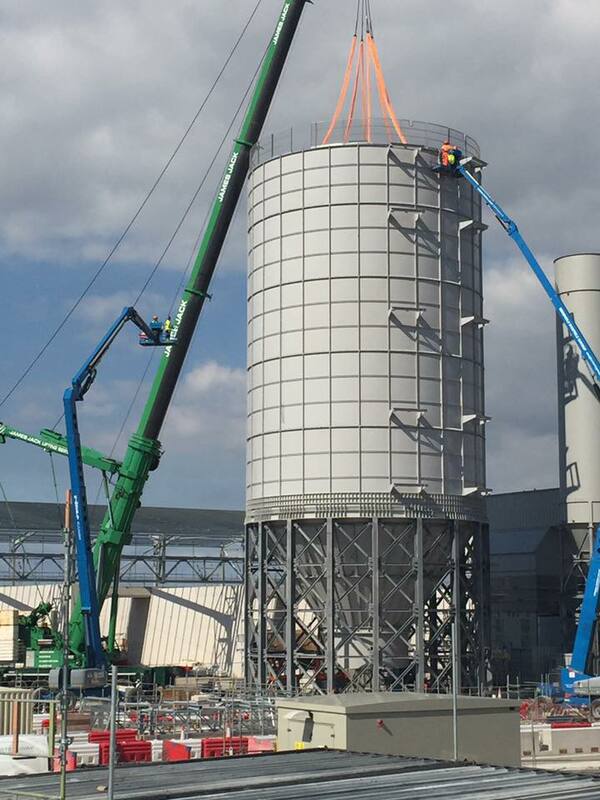 The biggest cement silo of the whole Great Britain has been finally completed. 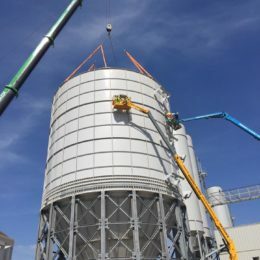 Realized for the storage of cement, the silo results in a 15 meters diameter, 35 meters of height and can contain more than 5000 tons of product! 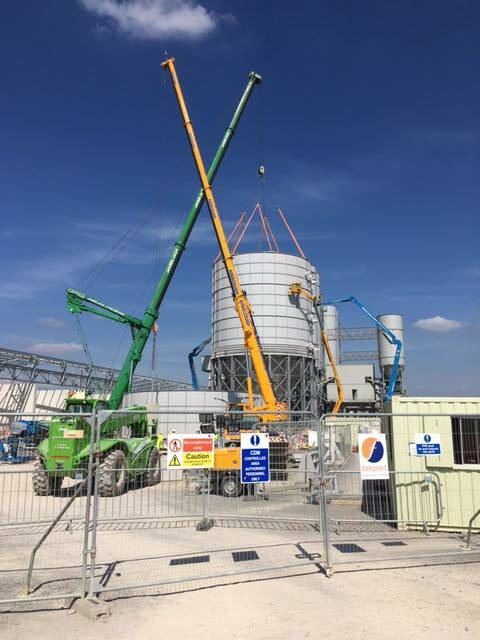 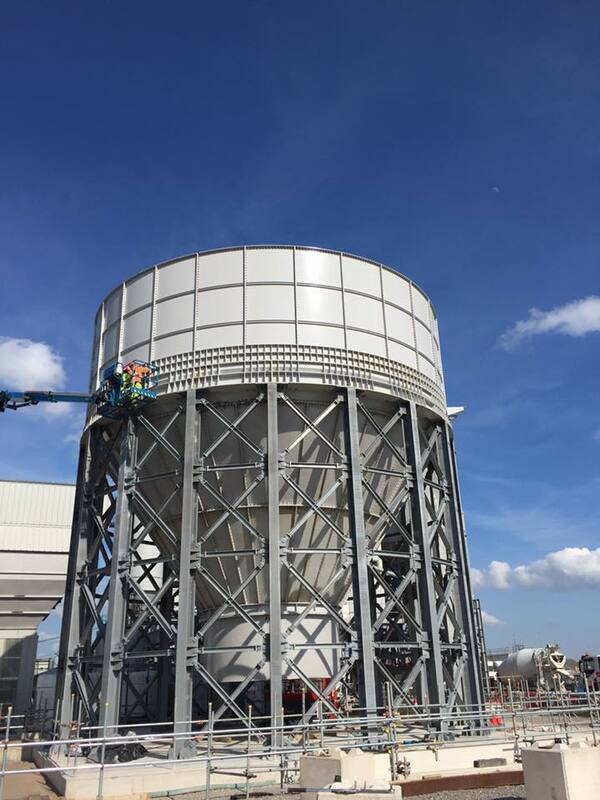 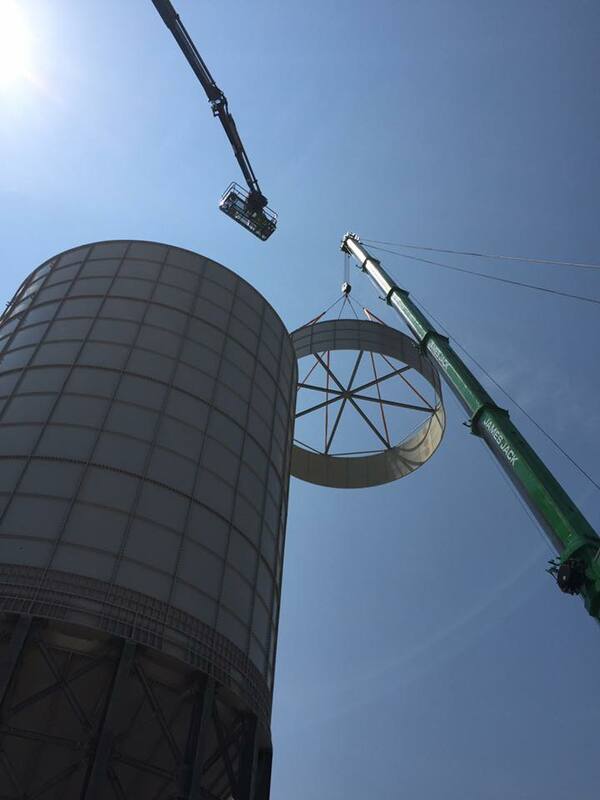 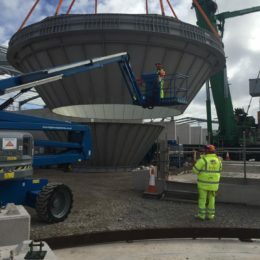 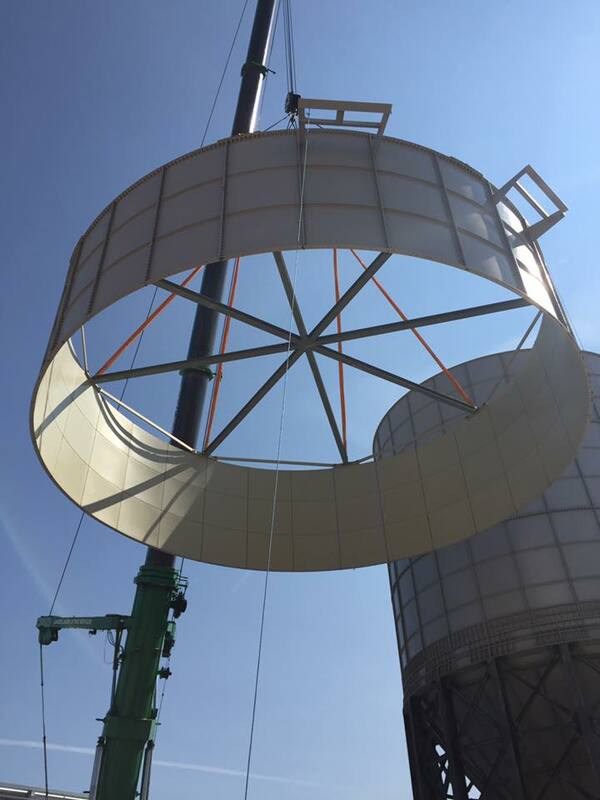 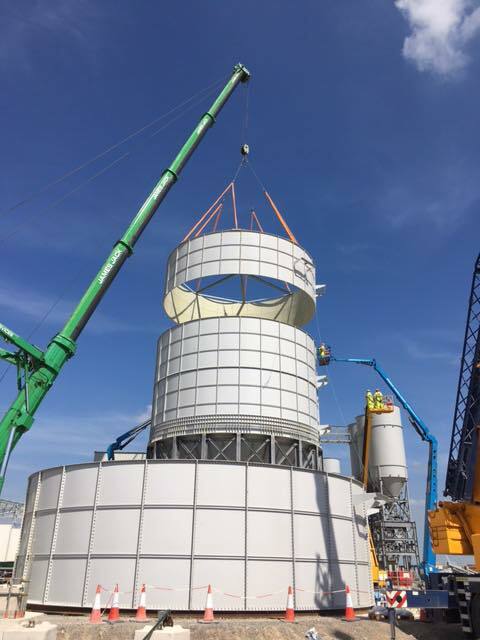 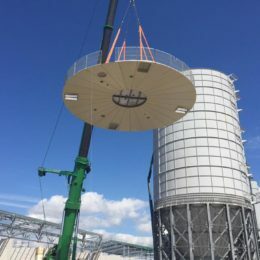 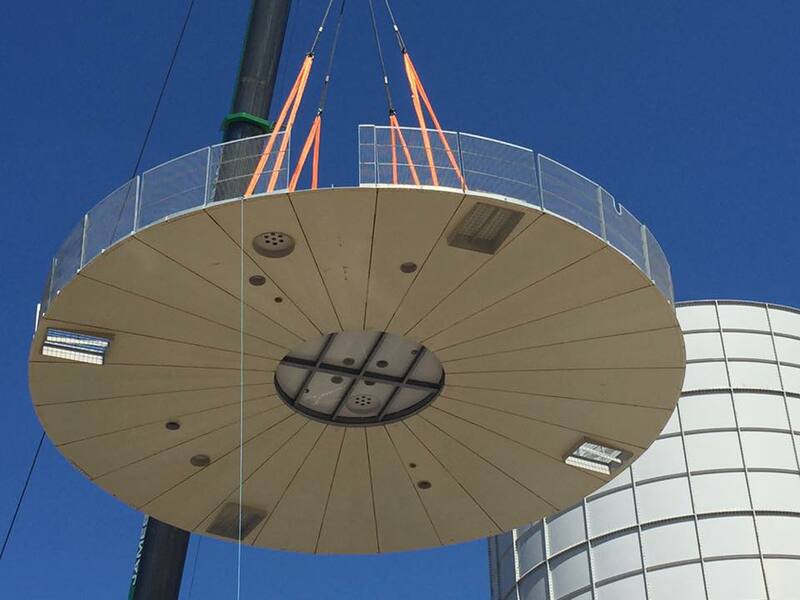 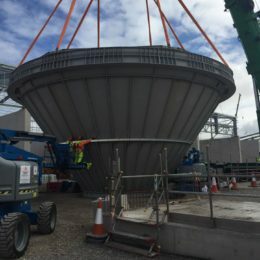 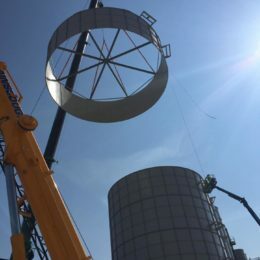 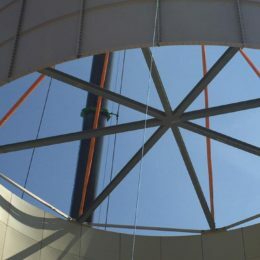 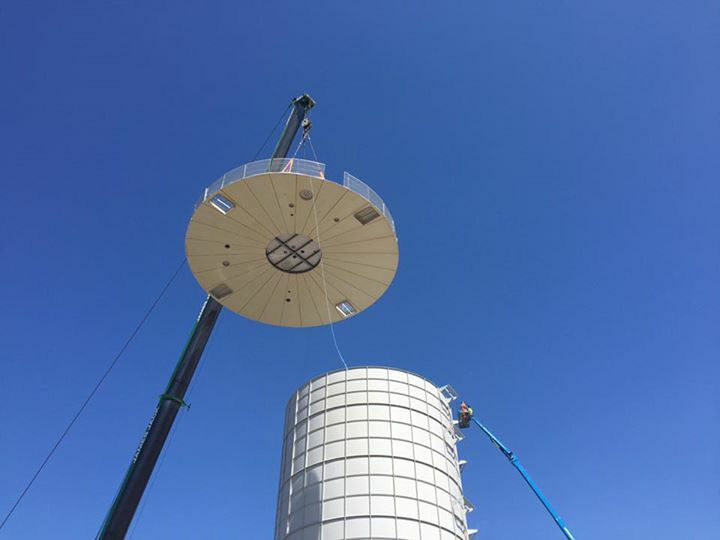 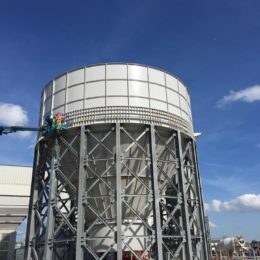 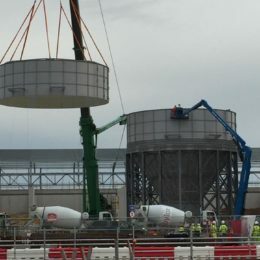 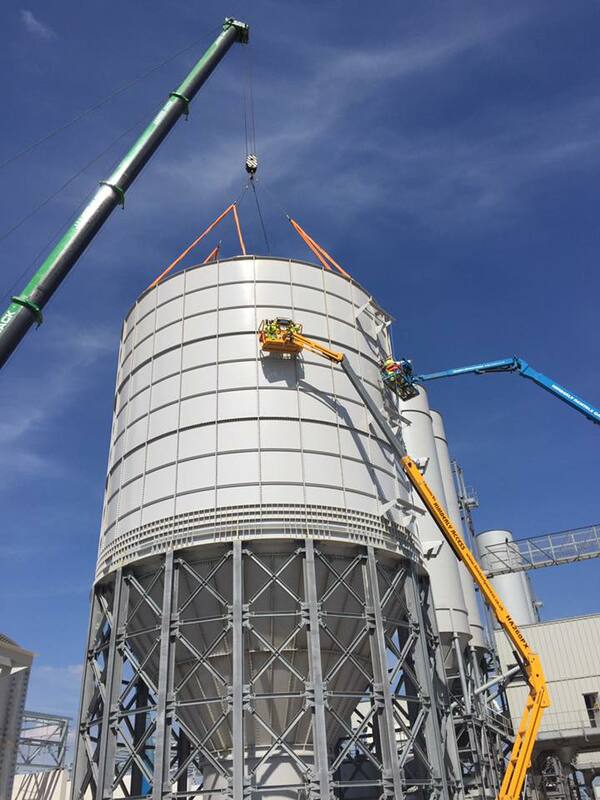 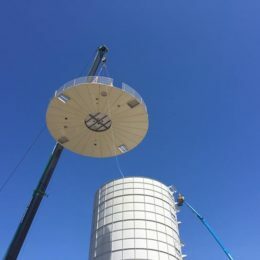 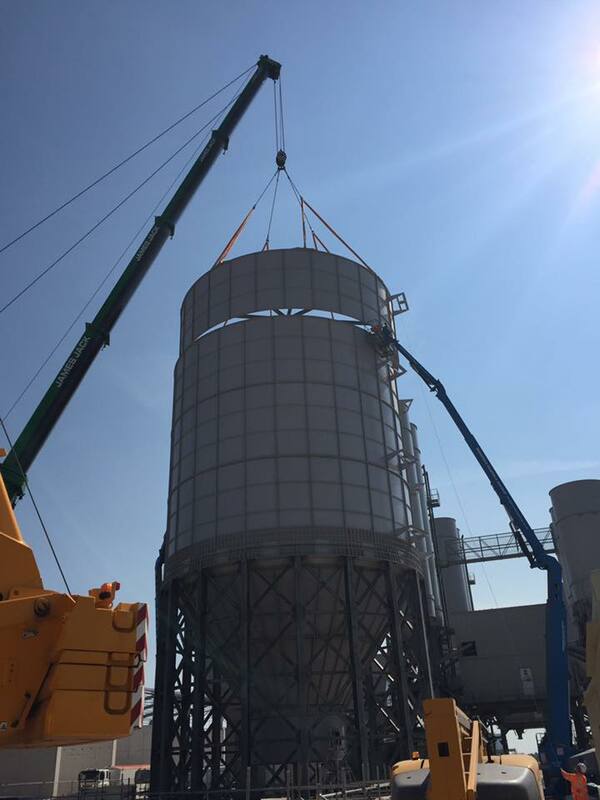 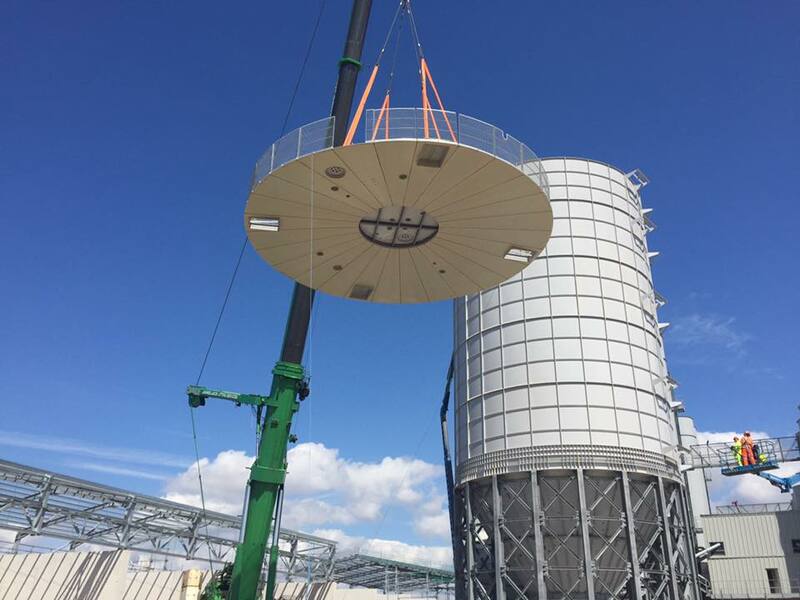 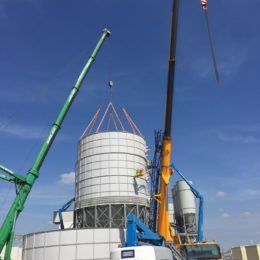 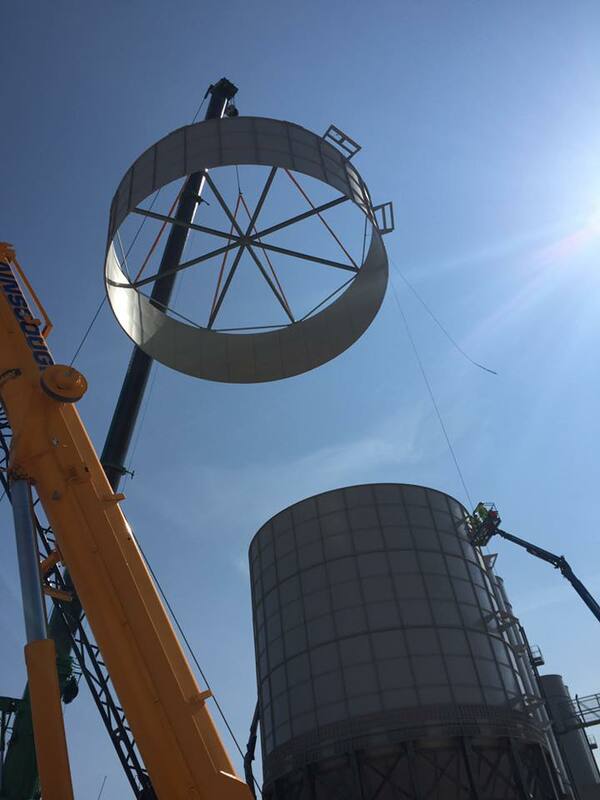 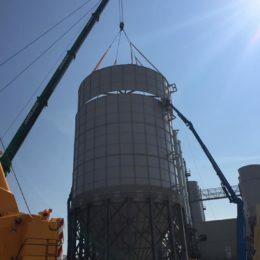 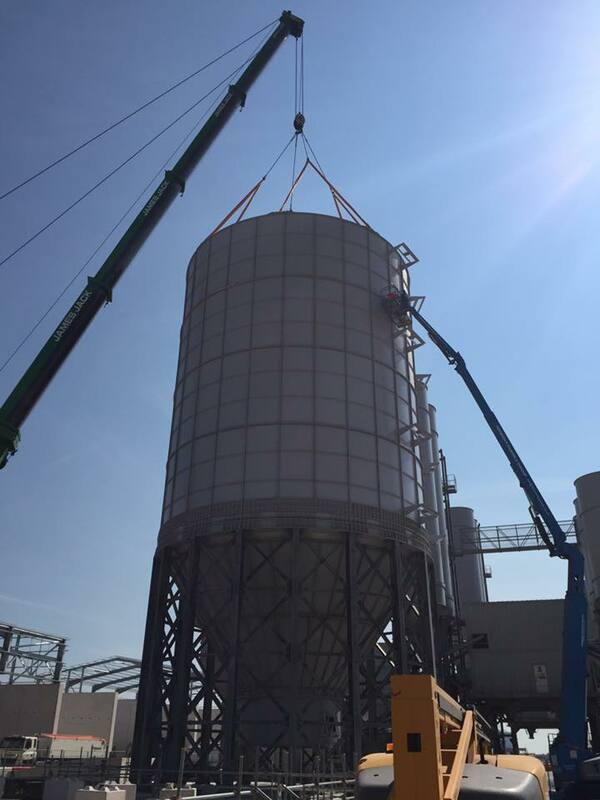 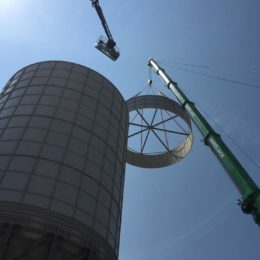 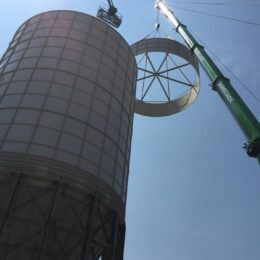 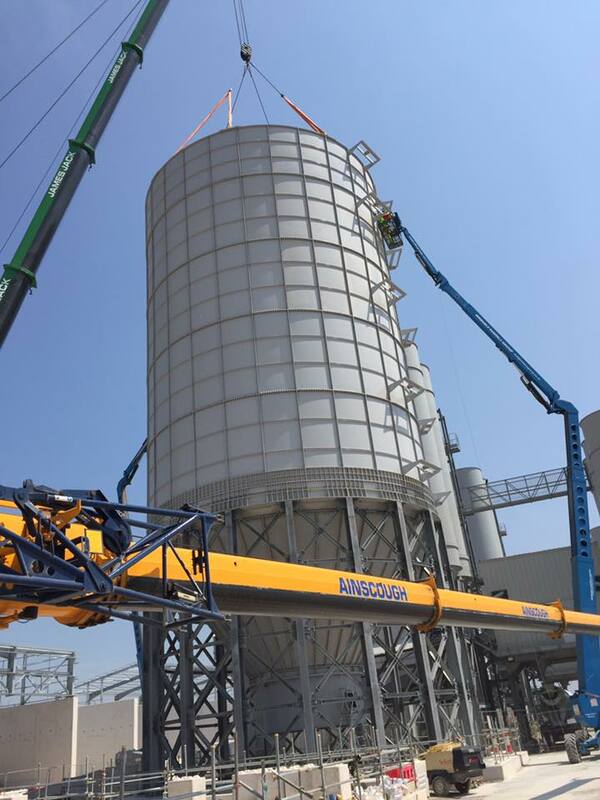 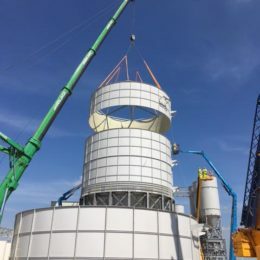 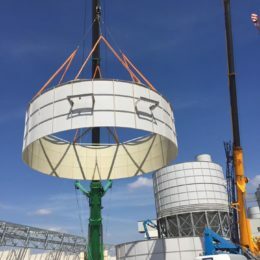 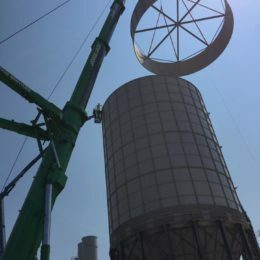 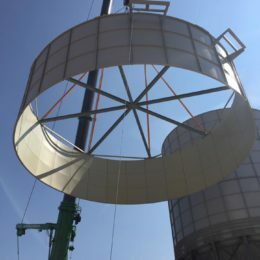 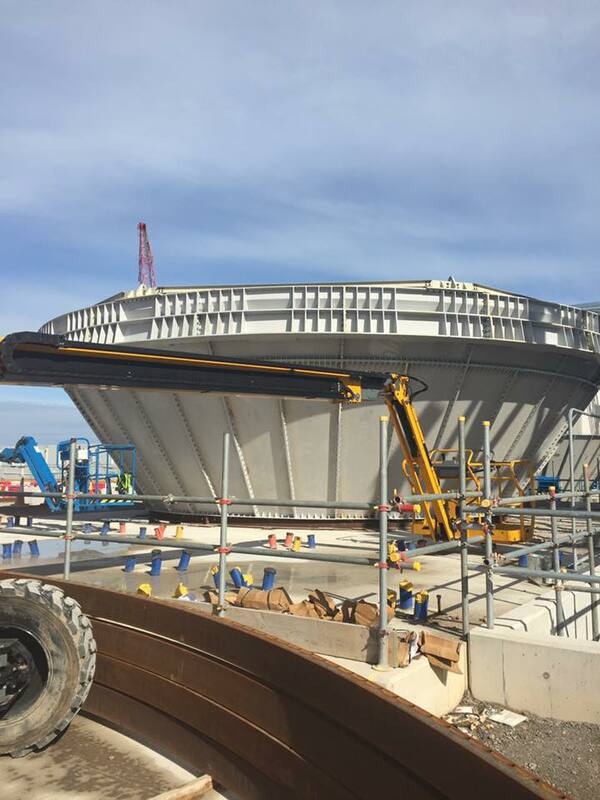 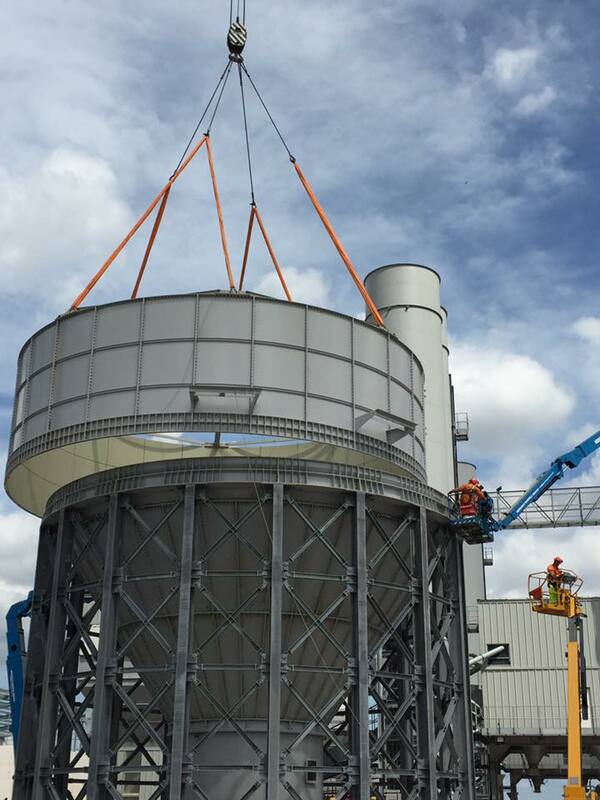 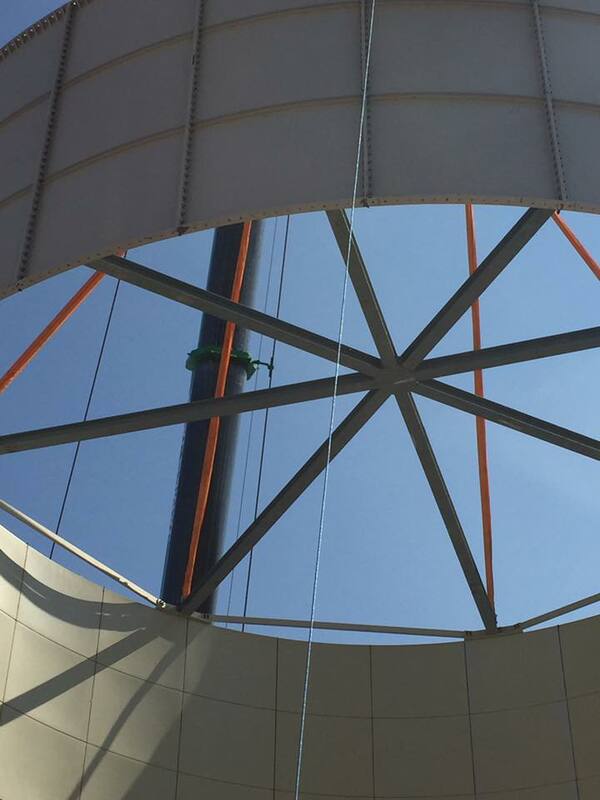 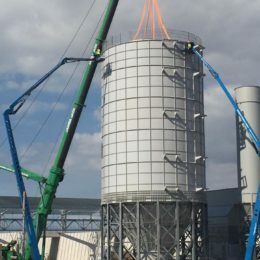 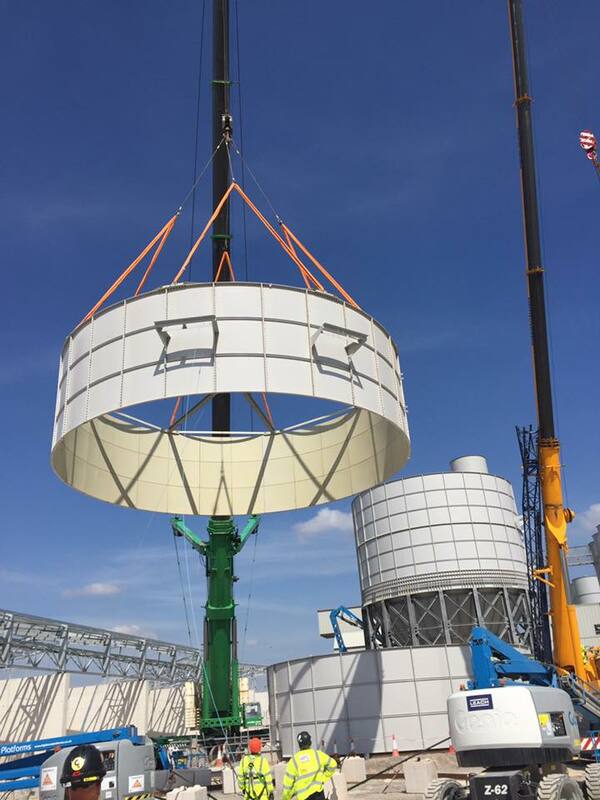 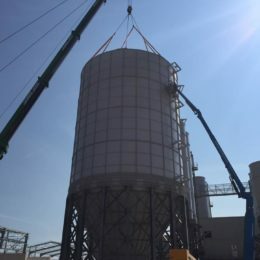 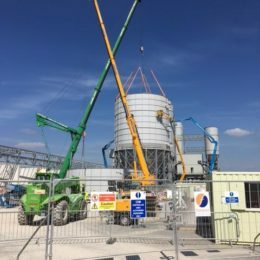 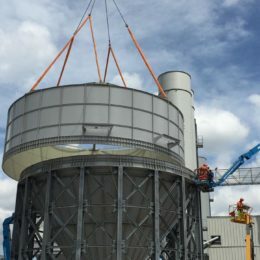 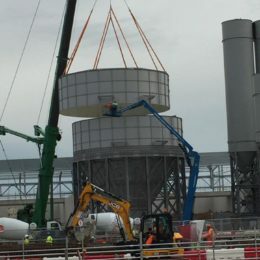 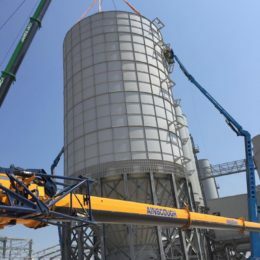 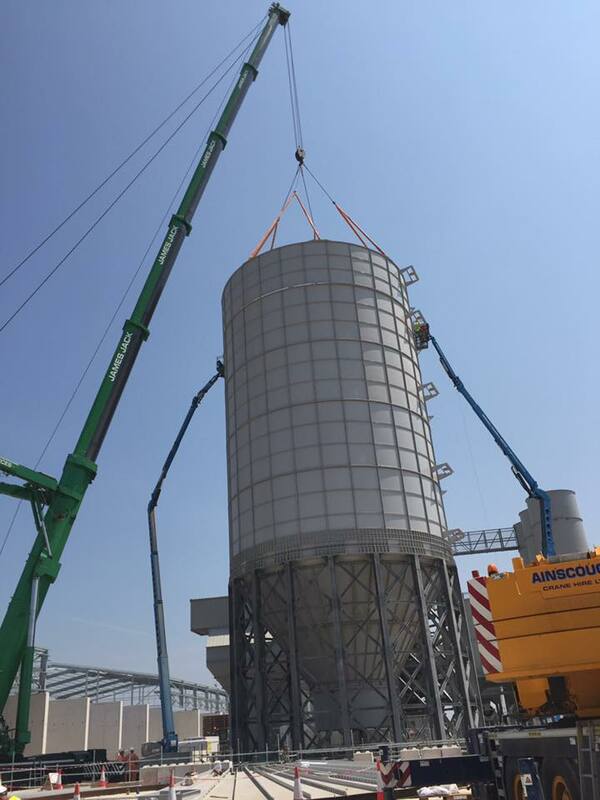 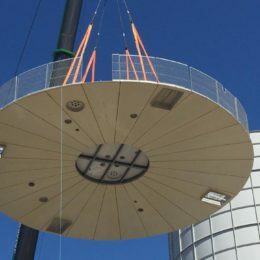 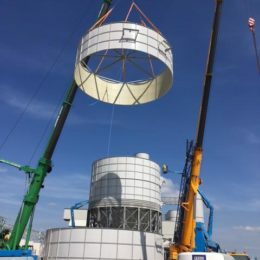 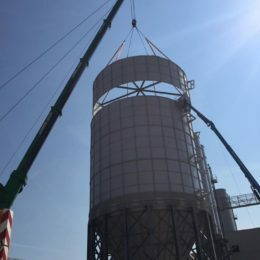 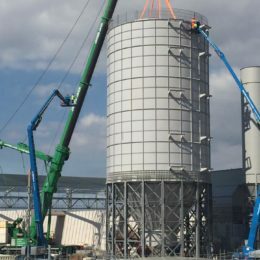 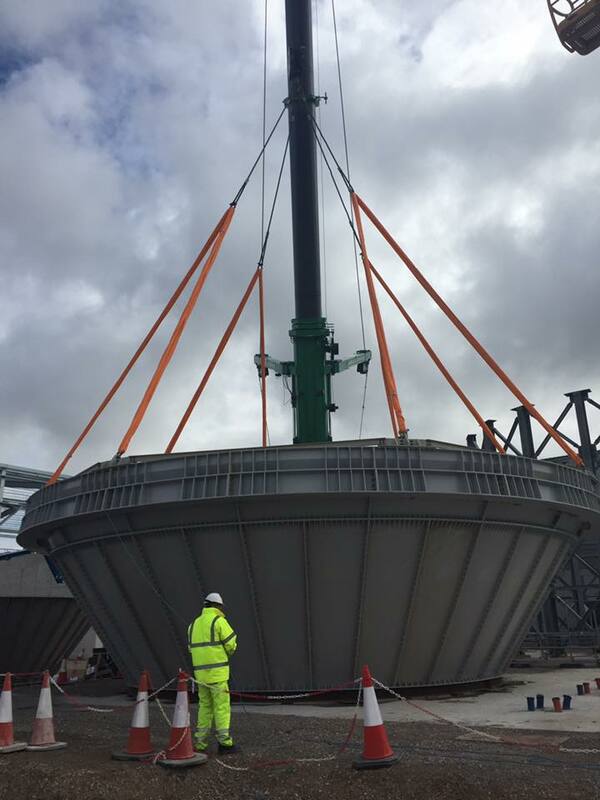 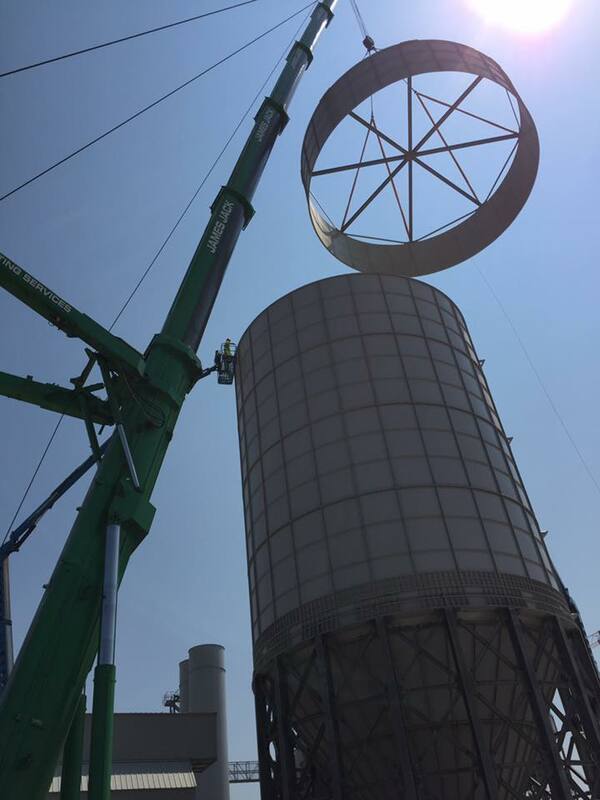 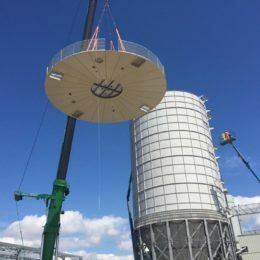 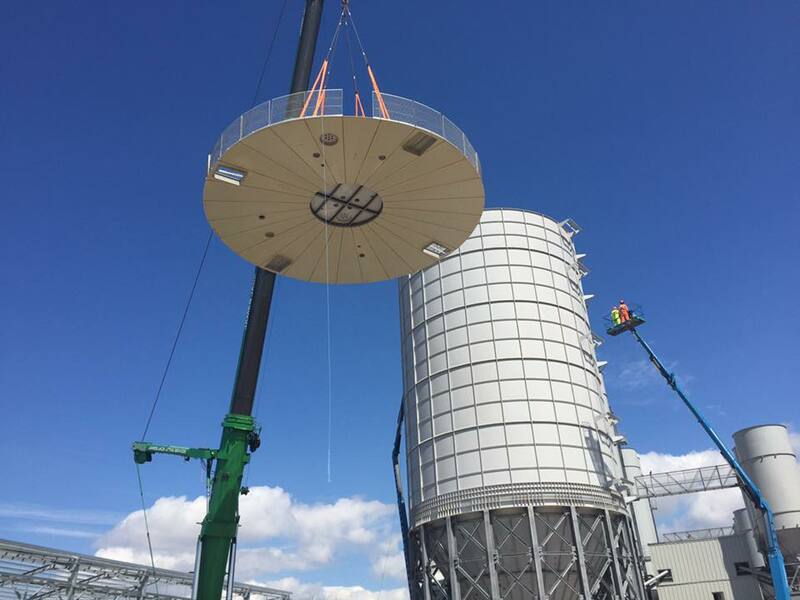 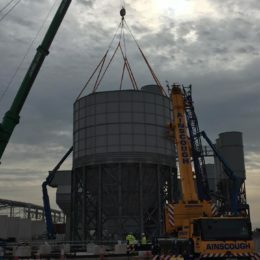 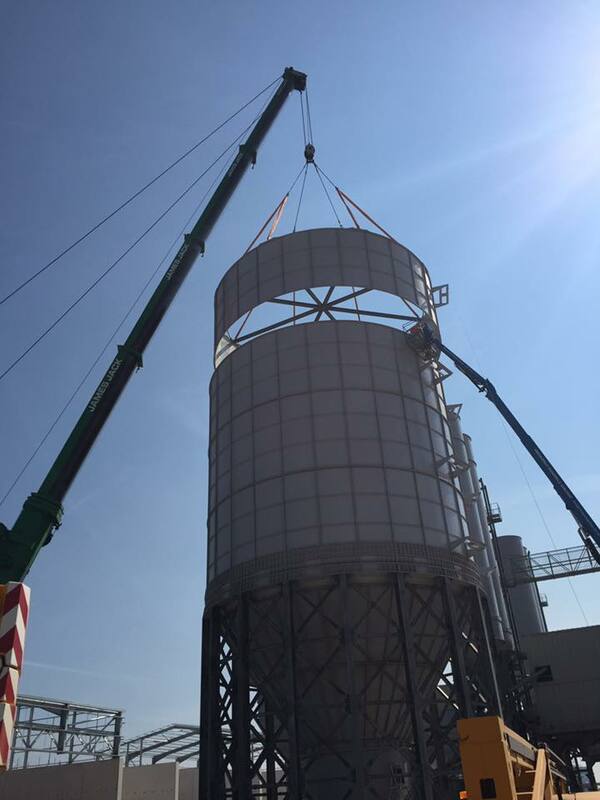 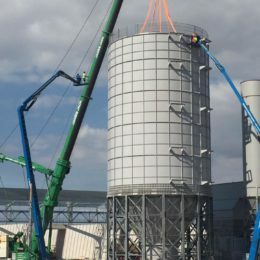 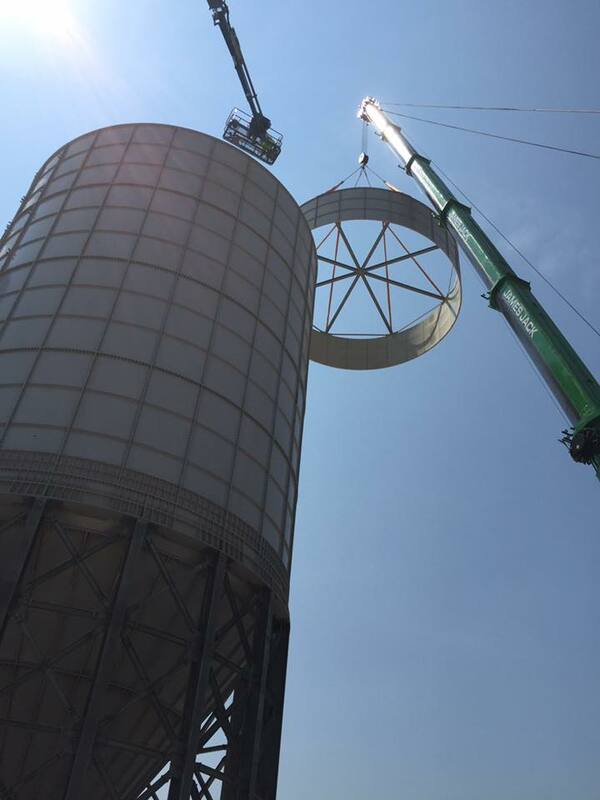 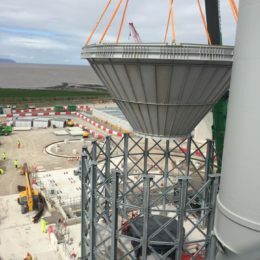 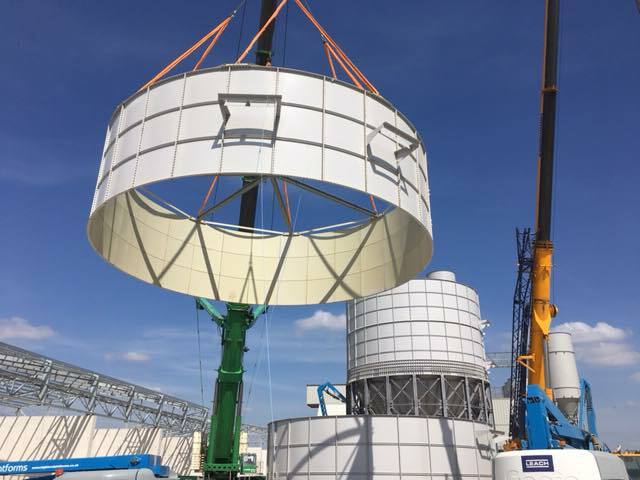 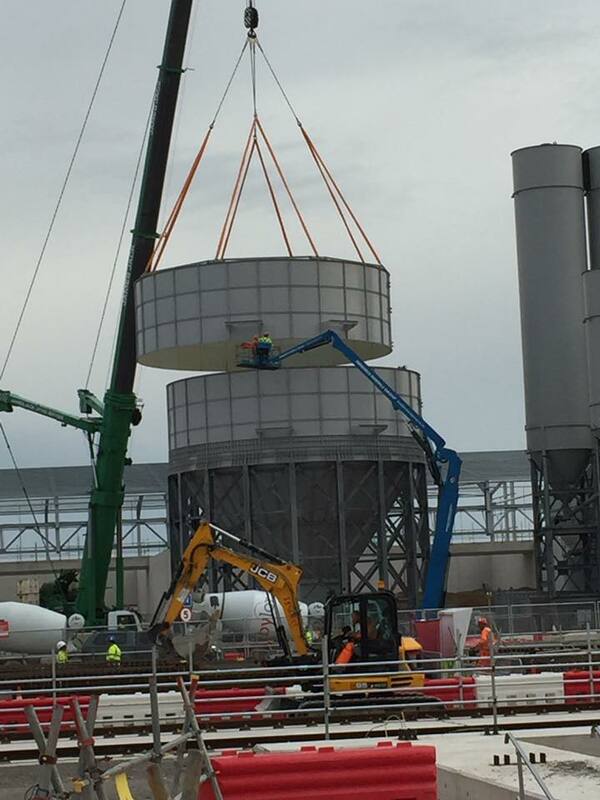 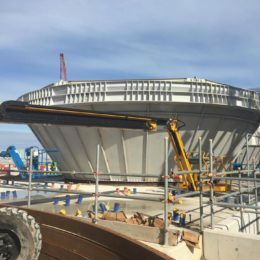 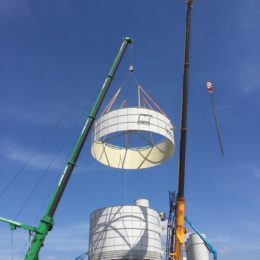 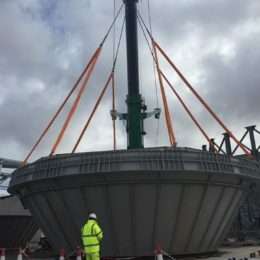 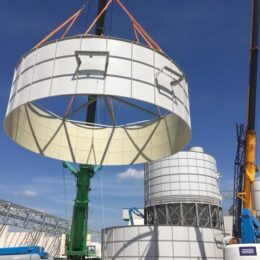 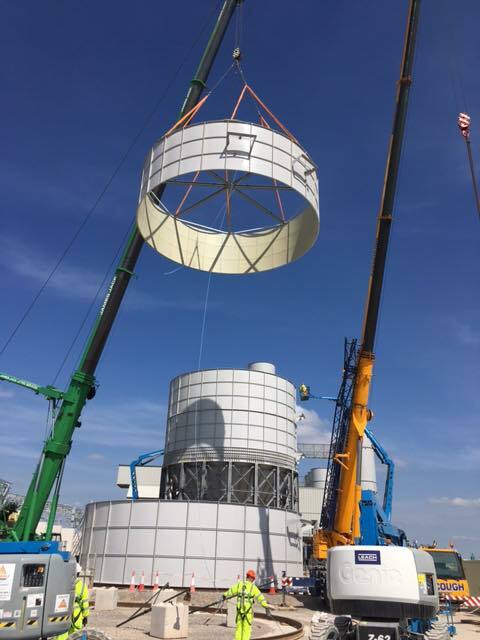 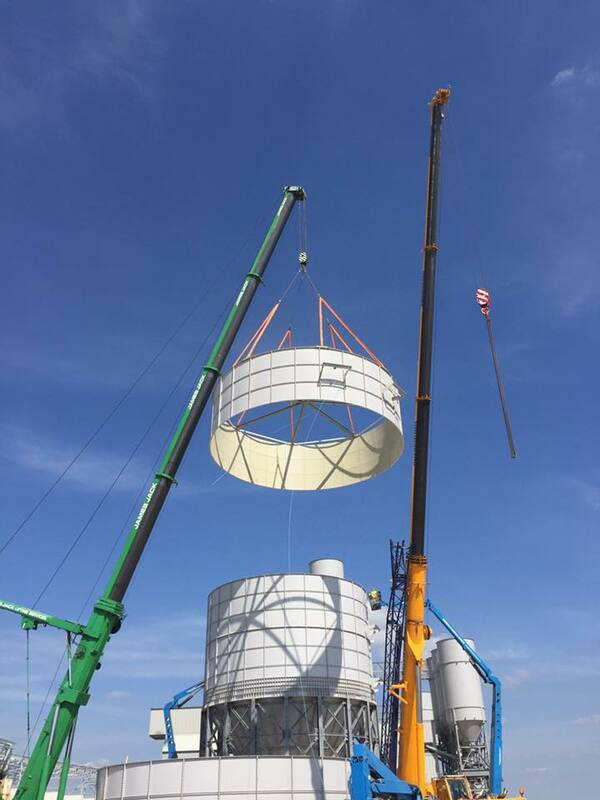 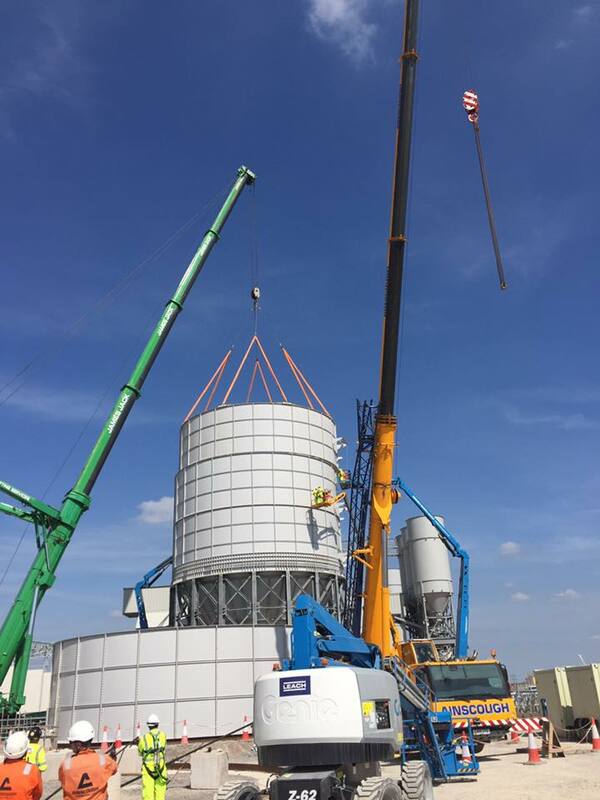 The silo has been realized in bolted parts, to allow a transportation to the site without special permits saving money for the customer; other than this the silo has been mounted and erected completely through bolts, without any site welding to be done.